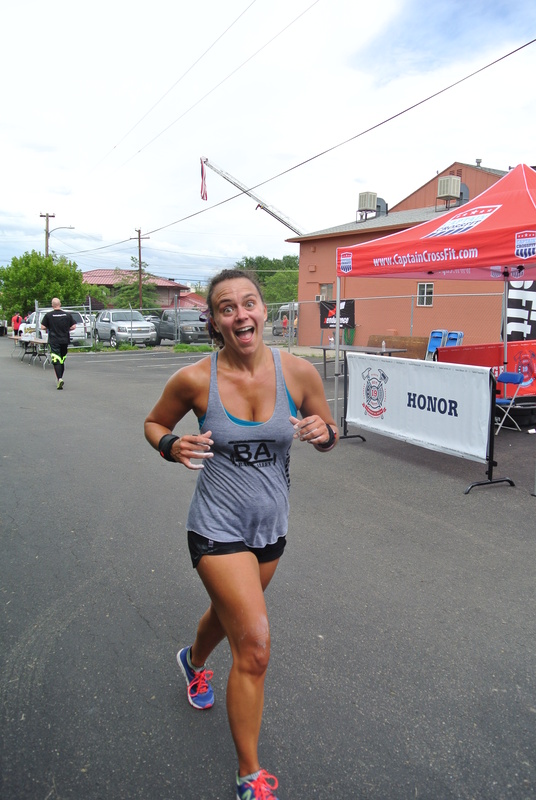 The next WOD I tackled was the Hotshots 19 WOD in Prescott, Ariz. We had traveled to Prescott after my power yoga session, giving ourselves time to adjust to the elevation and figure out the lay of the land. At 5,400 feet elevation, the 400 meter run was the most lung-sucking part. The hubs did an amazing job, finishing 5 rounds + 30 air squats and 10 power cleans in round six (5+40). He scaled the weight to 95#, but did the strict pull-ups unassisted (a first for him!). I was very proud! I was in Heat 4, finishing 5 rounds + 30 air squats. I scaled the power cleans to 65#, but also did unassisted strict pull-ups for the first time. And I felt great before, during and after the event. The elevation (other than during the run) didn’t phase me and I was really proud of my pull-ups. And the babe’s “first competition” was one of meaning and emotion. It hit close to home for us, as one of our CrossFit friends was related to one of the Hotshots. Posted on September 24, 2013 by crossfitpregs. 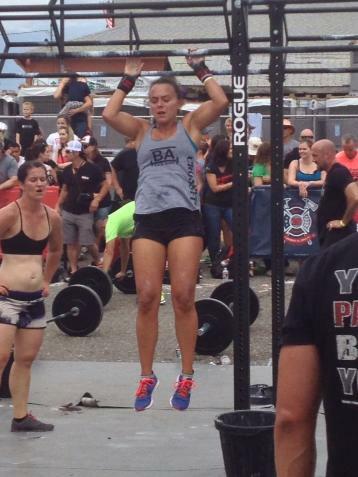 This entry was posted in CrossFit and tagged Arizona, CrossFit, Elevation, Hotshots 19, pregnant, Prescott, WOD. Bookmark the permalink.